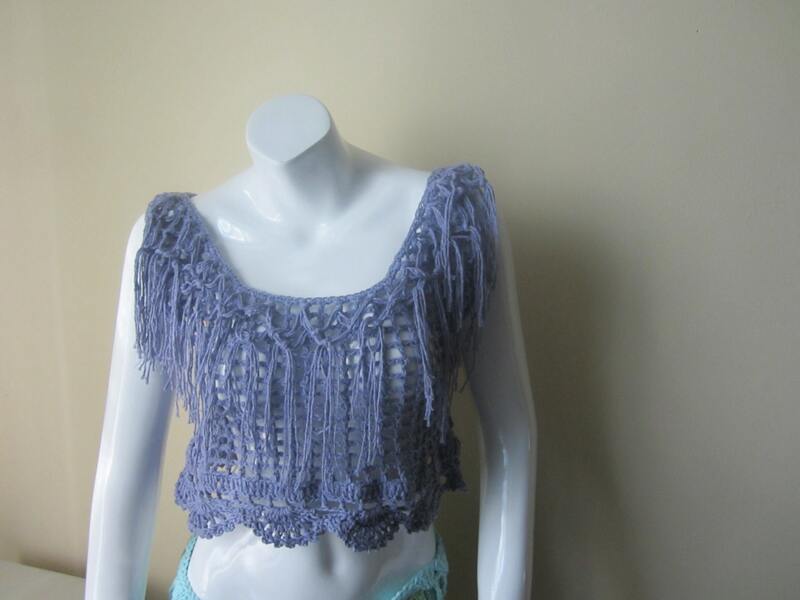 This is a cropped tank top with overlay fringes and scalloped edges. 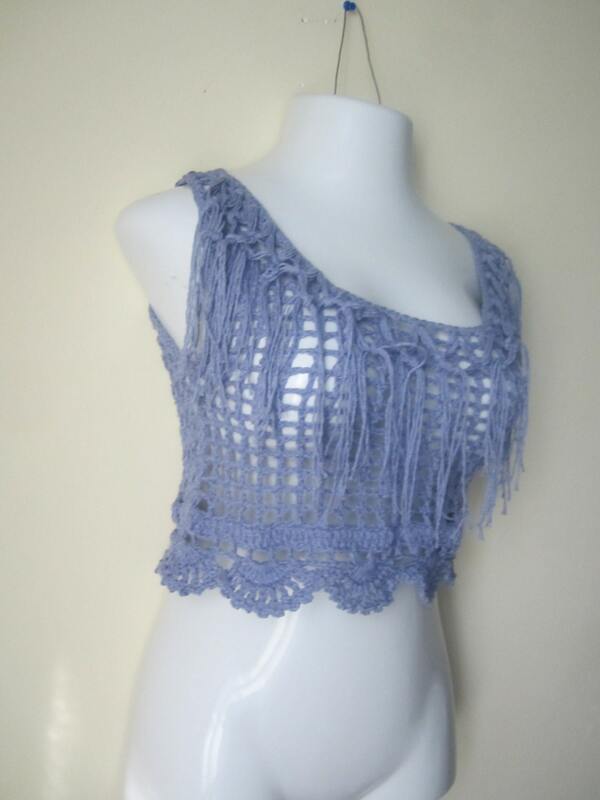 Great for FESTIVALS, BEACHWEAR, spring/ summer top. 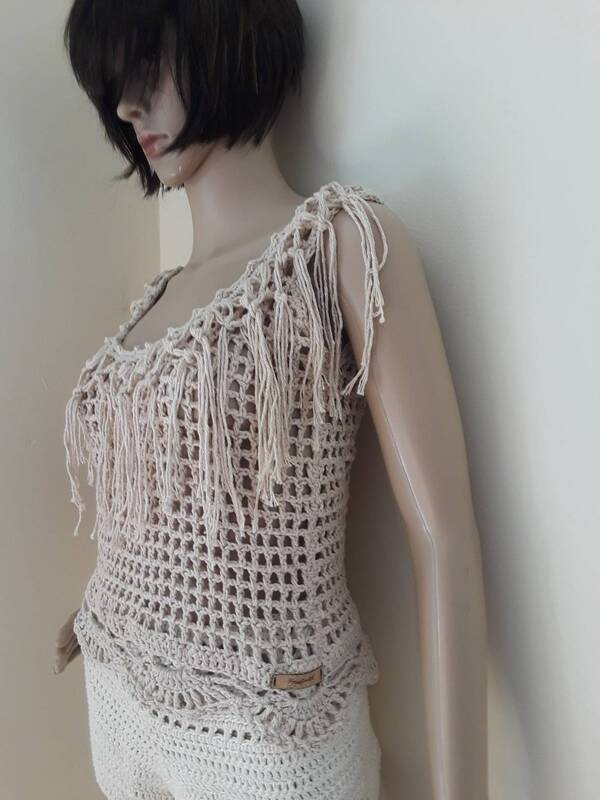 Pair this top with cutoff shorts or jeans or maxi skirt for that boho look. 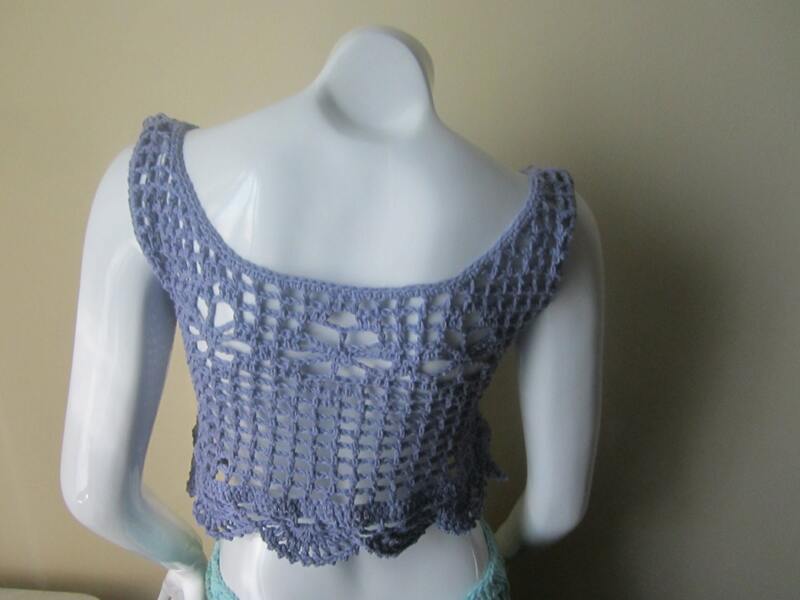 You can layer it or just wear a bra or bikini underneath for a beach party, festival, day or night out on the town. ITEM SHIPS 1 - 2 weeks (10- 14 days). 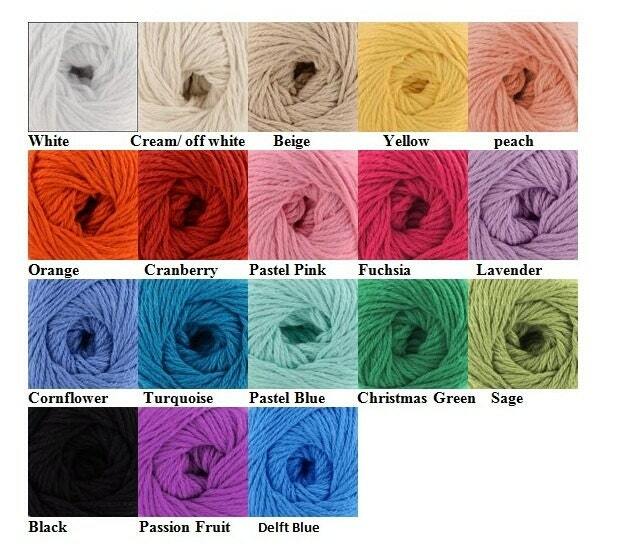 IF YOU NEED YOUR ITEM FOR A SPECIFIC DATE PLEASE INDICATE IT IN THE BUYERS MESSAGE. If you need your item sooner than 10-14 days PLEASE INQUIRE BEFORE PURCHASE AND LET ME KNOW WHEN YOU NEED THE ITEM AND I WILL LET YOU KNOW IF I CAN MEET THE DEADLINE.